Sotenäs is the Nordic countries’ centre for the processing of marine products. Practically all of the major processing businesses on the Nordic market have activities in this municipality. As a consequence, companies that construct and build machines for the processing industry have established themselves here too. Alongside all of this, you have Nordens Ark, a zoo where the main objective is to save and preserve endangered animal species. Where the processing of marine products and the construction of processing machinery is concerned, Sotenäs is truly a centre of excellence for the Nordic area. Schools and the Swedish Job Centre work together with businesses in order to supply the demand for qualifications. The processing industry is constantly developing. There are for instance plans for using energy-rich residual products from the industry for the production of biogas in a facility in Smögen. Professional fishermen in the municipality have widened their activities by means of their own manufacturing of selective and environmentally adapted fishing gear, such as trawls and nets, in part manufactured out of recycled old nets. These fishermen also provide a possibility for tourists to come along on exclusive fishing safaris, amongst others for lobsters. There’s a clear tendency that more service providers choose to combine business with pleasure by establishing themselves seaside. The municipality has industrial plots in several locations, such as Guleskär and Hogenäs. When businesses contact the municipality to present their needs, the municipality can make new plots available. There’s a certain supply of both municipally and privately owned industrial and office spaces. The marine processing industry establishes a large cluster in which amongst others processing businesses and machine builders have a recurring business-related cooperation. In the fishing association Norden, fishermen work together for adapting professional fishery to changed conditions, not in the least in view of environmental awareness and the local fishery’s long-term durability. Within the circle of Kusthandlarna, shops, restaurants and hotels in Smögen and Kungshamn work together. In the Sotenäs municipality, you live close to the nature and the sea. The municipality has approximately 9,000 inhabitants and 14,000 individuals live here part of the year. 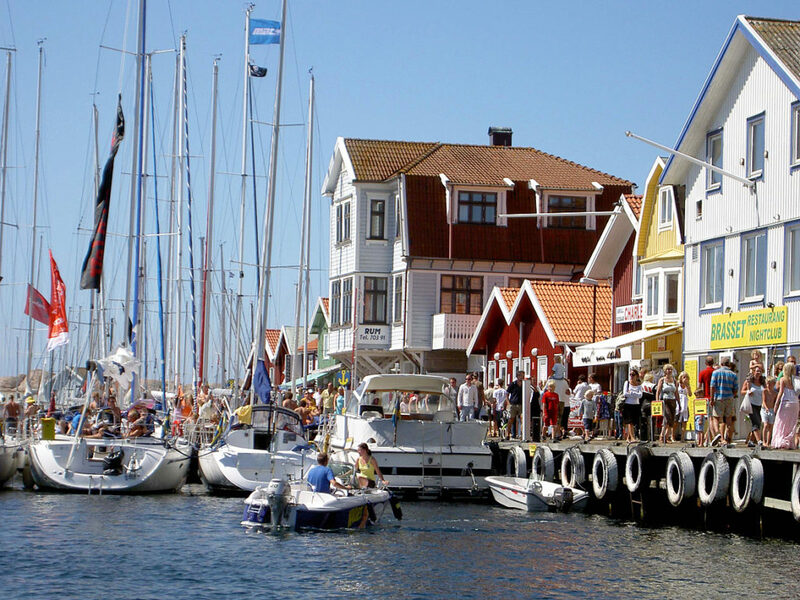 As many are attracted to the idea of living in this part of Bohuslän, the availability of housing is somewhat restricted. There are rented apartments in all larger towns in the municipality. Construction companies are erecting both co-operative housing and freehold properties. Real estate agents continuously have opportunities for year-round dwellings, summer houses and plots. Culture and leisure in Sotenäs are very much characterised by the proximity to the sea and nature. More and more people, not in the least tourists from across the globe, are attracted by the “wilderness”, space, the extremely clean air, cliffs, beaches and the untameable sea. Cultural history is vibrant, amongst others through fishery and the quarrying industry. Smögen’s local history society, Hållö Vänner and Hållö Fyrförening are good examples of how enthusiasts cherish the area’s cultural history. The many associations in the municipality play an important role for the culture and leisure sector, not in the least where children and young people are concerned. In the case of events and festivals, local trade and industry are often initiator and organiser.